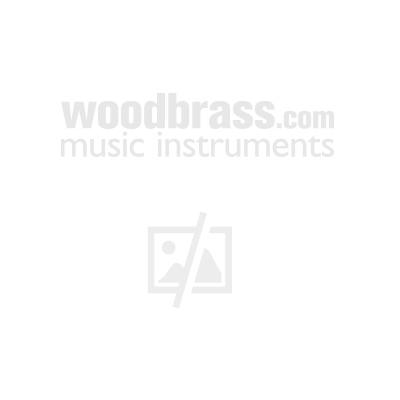 The Bigsby was the first successful vibrato rod, also known as a tremolo bar (whammy bar or tremolo arm in English when it is indeed a vibrato effect). "Tremolo" when we describe this accessory of the electric guitar. The origin of this misuse is due to Leo Fender who used the term "vibrato" to designate the vibrato effect. The B7 is part of the Original Kalamzoo series. It is therefore designed for use on arch top type guitars (carved or vaulted table in good French). It is therefore the perfect companion for Gibson Les Paul Standard / Custom or ES335. Designed for electric guitars with carved or vaulted tables, such as Gibson Les Paul Standard / Custom or Gibson ES335. Vibratos from the Kalamazoo Original series are handcrafted in the USA using the original method, ie using sand castings. The molten aluminum is placed in sand molds, exactly as Paul Bigsby did to make the first Bigsby vibratos in the 1950s.